In 2005, a radio polled 3500 music fans to make the "Rock's Ultimate Super Group", where they could choose the best musician of all time at each instrument. 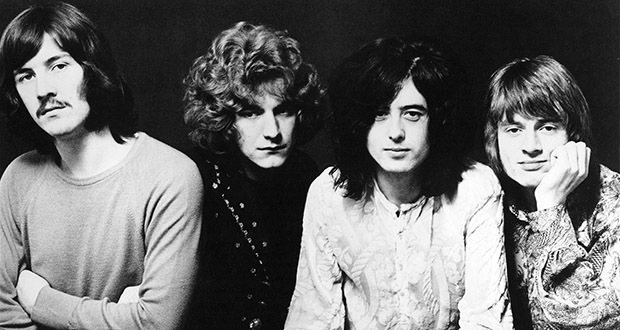 They ended up making Led Zeppelin. 2. In 1996, a bill was passed to protect food vendors from liability for giving unused food to the needy instead of throwing it away for liability reasons. 3. America already had a transcontinental highway by 1913, The Lincoln Highway, that ran from Times Square to Lincoln Park in San Francisco. 4. A drunk hunter named Daniel Carson Lewis singlehandedly caused a 285,000-gallon oil spill in 2001 by shooting the Trans-Alaska Pipeline with a .338-caliber rifle. 5. The only member of ZZ Top without a long beard is named Frank Beard. J.R.R. Tolkien is credited with inventing Orcs. 7. While animating Ratatoullie, a Pixar employee jumped into a pool while wearing a chef's outfit and hat to determine how it would cling to a character's body and what parts would become translucent. 8. The cans of ‘Bernard Dehydrated Water’ that you see floating around the Internet, are indeed a real product. Bernard Food Industries created the product as a gag that store owners could display in stores to give customers a laugh. 9. Phenylephrine, the nasal decongestant that replaced pseudoephedrine in OTC cold medicine, was shown to be ineffective vs placebo at up to 4 times the recommended dose and was not well tolerated starting at 4 times the recommended dose. 10. ‘Die Hard’ is based on a novel that, itself, was a sequel to another book. The first story was made into a Frank Sinatra film which meant the producers had to first contractually offer the starring role to Sinatra, who was in his 70’s. Psycho was shot in black and white because Hitchcock believed the blood during the shower scene in color would be too much for audiences. He used chocolate syrup instead. 12. Rudyard, Montana is the only town in the contiguous United States in which you could dig a hole through the center of the earth and emerge from the other side on dry land. 13. Before he was assassinated, Archduke Franz Ferdinand had plans to federalize his empire, creating the United States of Greater Austria. 14. Brass, Copper and some other alloys, when used as doorknobs in hospitals, kill bacteria, even antibiotic ones such as MRSA far faster than steel and aluminum due to the Oligodynamic Effect. 15. Albert Einstein mused that he would have liked to have been a plumber, and promptly was awarded honorary membership in the plumbers’ union. 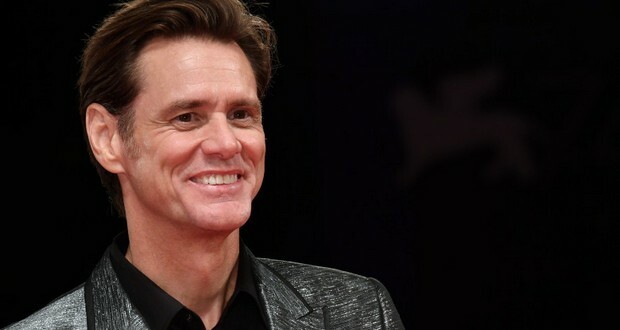 The makeup process for 'The Grinch' was so grueling, Jim Carrey had to meet with an expert who trained CIA operatives to deal with torture. 17. The taste, color, and texture of natural honey are based on where bees get their pollen and nectar. Univarietal honey, such as blueberry honey, is created by placing a hive within about a 3-mile radius of where there is an abundance of one type of plant blooming. 18. Massive, commercial fishing nets are simply thrown into the ocean after their service life, posing a huge threat to marine life. 19. A typical microwave oven consumes more electricity powering its clock than it does heating food. 20. The Chinese population census margin of error (26 million) is bigger than the population of 180 countries. After the holidays, the Rockefeller Christmas Tree is milled into lumber and donated to Habitat For Humanity to be used for building homes. 22. After their famed snow run, Balto and his fellow sled dogs were sold to a freak show in Los Angeles. After over 2 years living in horrible conditions, they were rescued by the efforts of the entire city of Cleveland, Ohio. 23. The movie studio responsible for The Hangover halved director Todd Phillips' $6.5 million fee because no big actor was attached to the film. Instead, Phillips requested a cut of the profits which netted him close to $70 million. 24. Rubies and sapphires are scientifically the same minerals. Rubies are the red variety and sapphires encompass any other color, with blue being the most popular and common. 25. The term "Walking Ghost" refers to the period of time shortly after an individual is exposed to toxic radiation when the victim appears perfectly healthy.